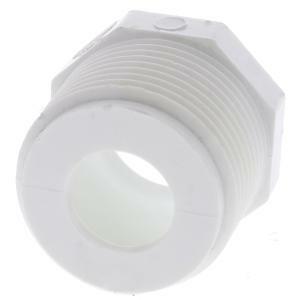 This Schedule 40 PVC 1" MPT x 1/2" Slip Bushing Adapter is a flush style male reducing adapter. Slip connection requires gluing. Fits 1/2" schedule 40 PVC pipe and a 1" pipe threaded connection.